Samsung Galaxy j7 Nxt forgot pattern lock how to unlock. 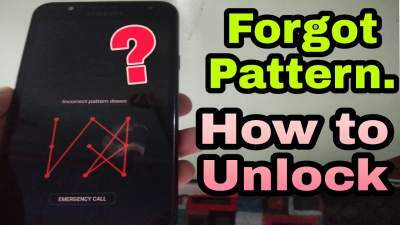 Welcome back to the website.So today we are going to discuss about forget pattern lock.How can we unlock our phone if we forgot pattern lock.In this article you will completely learn about how to unlock the phone if you forgot your pattern lock. Here you will learn about how to unlock Samsung Galaxy j7 Nxt which is locked and i am pretty sure that this method works in most of the cases. You can surely try this method in other brands also. So lets get started. I will guide you all the way. Follow my steps to learn about forgot pattern lock unlocking. First you need to switch off your phone. Press Power on/off +volume key (both at same time) until phone turns on. You will see some options on screen like..
C. APPLY UPDATE FROM ADB. D. APPLY UPDATE FROM SD CARD. Press the volume up key until you reach the WIPE DATA/FACTORY RESET option.After reaching this option press power on/off button and your phone will get reset (i.e Hard Reset). Now you will again see those options as discussed in Step No 2.Keep it as it is on REBOOT SYSTEM NOW option then press power on/off button.Now your phone will turn off and will Restart itself.Wait until phone gets started. Now you will see Welcome Screen. Click on start and connect your phone with any Wi-Fi Network then press back button after connecting with any network. Now click HOME button three times continously. Now TALK BACK Tutorial will appear.Draw L on screen and you will see some settings.Double Click on Talk Back settings option and you will see many settings.Press the HOME button again 3 times to turn off the Talk Back Tutorial.Now Scroll and click on the Help&feedback option. Click on the top search bar and type VOICE. Then click on the Get Started With Voice Access option. Now you will see a video click on it. Then click on Share icon on top. After that click on 3 dots .Now YouTube app will open. Now your phone browser will open click on start. Then click on top search bar and type ibanzr.com.Now our website will open.Search for this topic which you are reading now.Open it and download two files from here which are below. Now click on bookmarks then click on History then Download History and wait until they get Downloaded.After successfully downloading these Apk's click on first apk Apex launcher then click on settings then click on Allow From This Source and Install the Apk on your phone. After installing the Apk open it. Now your phones home screen will open.Go to settings and find Security click on it. Then click on Other Security Settings.Then click on Device Admin Apps/Device Administrators. Now click on Find My Device/Android Manager then click on Deactivate option. Now go back to settings Main menu and click on Apps then scroll and find Google Play Services.Click on it then click on Disable and again Disable. Now go back to Home Screen and open file manager. Then click on Apk Installation files folder and click on techno care Apk and install it on your phone.After installation open it for some seconds without doing anything then go back to home screen. Now open settings then click on Cloud and Accounts .Then click on Accounts and then click on add account and then on Google. Now enter any gmail id (i.e friends,family members etc) and click on next.Enter Password then again next then on i agree. Now go to settings and go to security then other security settings then device admin apps/device administrators.Then click on find my device/android device manager then activate.Now go back to settings main menu and click on apps then find google play services app then click on it. Now enable it .Now you have enabled all the services which you have disabled earlier. Now restart your phone.Then click on start and then next next until you reach home screen.Now go to settings click on General Management then click on reset then click on factory data reset then on reset then click on delete all. Now your phone will restart automatically.Then click start then again next next until you reach home screen. Now your phone is completely unlocked.Enjoy...!